One of the best cardiovascular workouts available to athletes and wanna-be athletes around the world is running. It is very hard to find an activity that burns as many calories in one session than going for a run outdoors. And if you live in colder climates, running may be one of those great luxuries that can only happen a few months out of the year so it also becomes extremely valuable. Running is one of the few physical activities that doesn’t cost a lot either. You don’t need to go out and buy a ton of expensive equipment before hitting the pavement or treadmill. Instead, you require just one piece of crucial equipment which is, you guessed it, the running shoe. It is so critical to invest in a decent pair of kicks because running, as good of a workout as it is, also has some pretty intense repercussions on your body if you’re not careful. These repercussions include the impact on the joints and lower back. Though you may not be able to predict whether or not you are going to need a hip replacement later in your life, you can definitely take strides today to help minimize the likelihood that you’ll need major work done in your golden years. A good running shoe will help reduce impact, help keep the feet in better shape as well as help you go further in your run. This is usually done with good arch supports and high quality cushioning which helps with impact reduction as the runner lands their foot on the pavement, cement or trails as they are on their runs. Not all sneakers have proper features to help keep impact reduction down, however, the ones that do are the ones that should be looked at. This review is on the very popular brand Saloman, specifically their Speedcross 4 runner. This product is highly rated all over the internet but we wanted to get a little deeper into the Speedcross 4, its advantages and disadvantages based on the materials used, their construction and the ratings and reviews by people who have used this shoe. The company itself has a very good reputation and is known for making a superior running shoe. This particular model is quite attractive in design, resembling something that a pro might wear. They come in both men’s and women’s models, as well as in a ton of different bright and fun colors so there is sure to be an option out there that suits your fancy. They are sleek in design as well as quite narrow in size (which may be an issue, this is discussed more in the article). They are pretty reasonably priced as well. 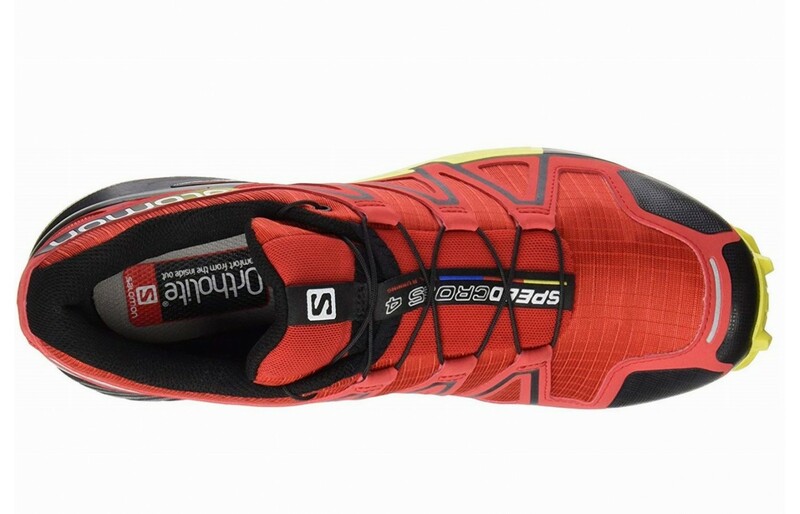 So, this is our review on the Salomon Speedcross 4. We hope this helps in your search for the best running shoe! 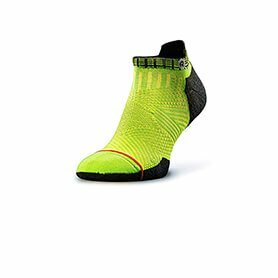 This product has a anti-debris mesh which according to their website helps protect the inside of the shoe from anything that can be found on trails or on roads. The mesh is suppose to essentially block any dirt or dust from entering the shoe and damaging it or hurting your feet. The mesh helps encourage airflow through the shoe and helps keep the runners feet from overheating. Reviewers said that the mesh did its job and kept their feet cool (and dry) during their runs. This product has good breathability despite the good waterproofing (which sometimes works against the breathability). The Orthalite sockliner is also supposed to keep feet cooler, drier and healthier which will help with the runners comfort over the course of the run. This product has a 'precise foothold' which is supposed to have ongoing support from heel to toe and keep the foot in place while doing activities in them. This will help keep the foot in place and offer a more precise and controlled movement during runs. They also have an "Ortholie socktrainer' which is suppose to be more supportive of the arches, help keep the foot dry and aid in low impact runs. They are also very lightweight in design which will help extend the lengths of any outdoor runs. The one common consensus on this shoe is how comfortable the shoe is. The one thing to consider is that it sounds like the shoe fits smaller than expected and sizing up may be required depending on the foot. This described in a little more detail below. This shoe also has water resistant materials listed as "water resistant textile" which is supposed to essentially repel water as oppose to absorb it. The quick lace system also helps keep moisture, debris and dirt out of the shoe, this is described in a little more detail below. This is crucial when running because wet and dirty feet can quickly cause blisters and/or slipping which can be dangerous especially when out on trails. Those that wore these shoes appreciated how dry their feet stayed even when out on wet and muddy trails. This is a huge positive when considering what type of shoe to purchase. The insole of this shoe has a 'OrthoLite' sockliner as mentioned above, the liner is made of a foam meant for impact reduction. The OrothLight liner also has an EVA cup which holds the heel in place for better control during runs. The liner helps keep feet an ideal temperature which could work hand in hand with the breathability of the product. It also helps cushion the foot for a more comfortable fit as well as a closer one. It also has an EVA footbed, described in a little more detail below. Those who ran in this shoe either loved how comfortable they were or had issues with how narrow they were. The upper is made of the anti-debris mesh which not only allows for better breathability but also keeps the dirt and debris out of the shoe. The feel of the fabric is high quality and is not stiff to the touch. It surrounds the top of the foot quite well without restricting it. The shoe also has a mud guard which essentially maintains the aesthetic of the shoe and stops the shoe from looking mucky even mid-run. Those wearing this shoe while running on trails found that they didn't have any issues with getting anything stuck in the shoe due to the shoes quick lace system, which is a huge plus. The quick lace system is a one pull tightening system which will tighten the shoe with one quick tug. The shoe is easy on and easy off which many reviewers confirmed they probably wouldn't be able to live without now that they've experienced it. This helps with not only quick tightening to get on the road faster but also offers a more secure fit. The sole of this product is made of a rubber material that is supposed to be supportive especially for longer runs and for those with arch issues. The shoe also has a anti bacterial insole which helps keep bacterial build up down and therefore odour control as well. This should be particularly attractive to those with existing foot odour problems as well as those looking to extend the life of their shoes. The sole has proper impact reduction and helps the runners joints and bones avoid further damage that running can cause. The foot bed of this product is quite narrow and hugs both the heel of the runner and the ball of the foot. The arch support and foot bed in this product is made of a molded-EVA which is a very durable material but can be considered a little hard for people with arch issues. A common complaint about this model is that the foot bed is too narrow even with people with average sized feet. On the up side, the shoe fits the heel really snuggly and therefore runners don't feel their foot moving around too much during their run which helps with both blisters as well as performance. This product has what they refer to as "premium wet traction contragrip" which is something unique to Salomon. It is basically a traction system that will work just as well on dry surfaces as wet surfaces. This will be particularly handy in areas of higher humidity and rain. 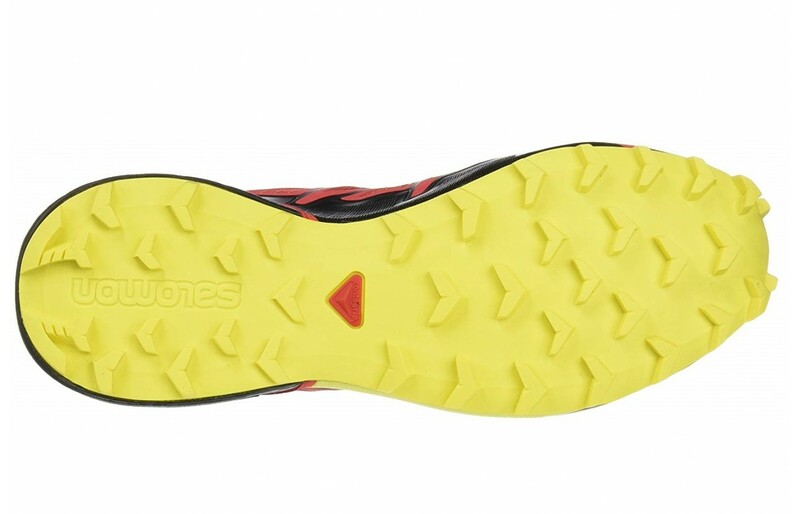 Reviewers wearing these shoes had no issues running in either an urban setting or on trails because of the super 'sticky' traction of these runners. They not only grip to roads and pavement, but also grip well to rocks making these shoes incredibly versatile. This product is very stylish. It is both sleek and narrow. It looks like something a pro might wear. It also comes in numerous fun colors as well as more monochrome ones for those less into color. They have an interesting and yet minimal design to them. The laces are quite thin and discrete. 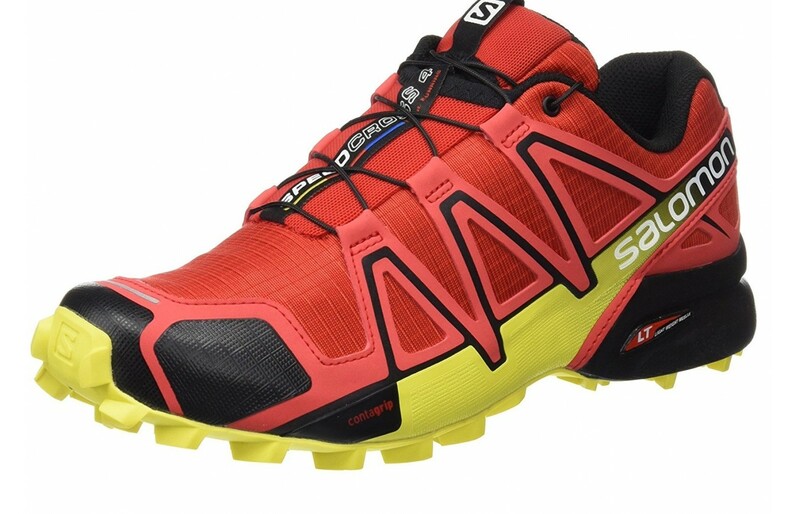 They have the classic Salomon logo across the side and have an ergonomic design that looks as though they really shape the foot. It almost looks like a cleat with the tread of the product being more pointy than smooth across the bottom. The tongue is tight to the foot as well to avoid any unnecessary bulk if running in colder temperatures. Overall, the look of this product is quite attractive in design and would work in both urban and rural dwellings. This comes with a 2-year limited warranty. This is nice considering some shoes don't come with one at all, however, the issue with it is that from what reviewers are saying, the customer service team is really hard to get a hold of. This seems to have conflicting reviews with other reviewers who said the person they spoke with was quick to help. This is probably a person-by-person basis and shouldn't reflect Salomon as a whole. Reviewing their website their customer service team or their social media manager seems to be quick to respond with advice on any negative reviews, this is positive. They are watching out for their reputation which says a lot about the company. This shoe is surprisingly inexpensive in comparison to competitive models. When looking for a good quality product you can't expect to pay very little to get a superior product. Running itself is quite inexpensive and doesn't require a ton of equipment, but the equipment needed (which is your runner) does need to have very specific features and qualities to not only keep the runner safe but also to protect the body over long periods of time. This product is loaded with features that will really assist the buyers runs and for this price the product is definitely worth the cost. It is on the lower side in price, it does the job, plus you'll look great in them. There is no reason (outside of how narrow they are) to not try these shoes out especially at this price. This truly is a superior shoe. 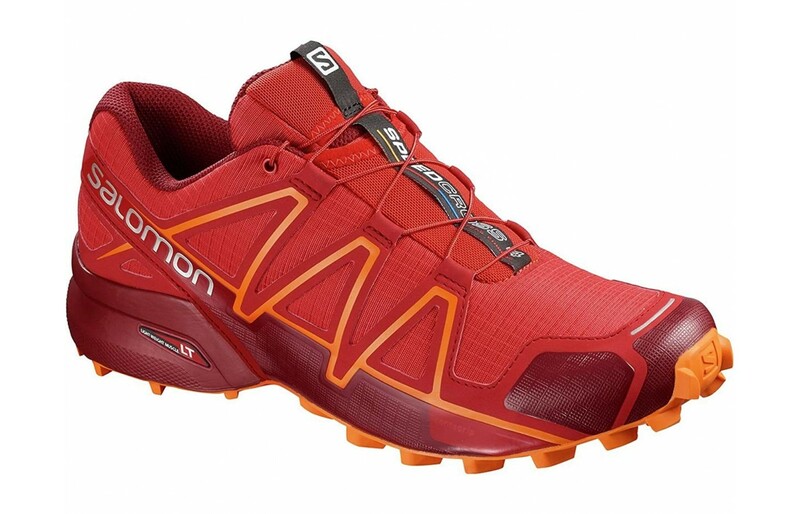 Salomon is known for making fantastic quality products. They might have some customer service issues but even on their website, you see a social media manager responding with helpful advice to everyone leaving poor reviews. The shoe itself is a good product overall. There were a few complaints about durability, breathability or waterproofing. The only real concern, and this was a very common one, is that the shoe is very narrow. Some said that sizing up helped, however, for those with larger feet this actually might be a deal breaker, unfortunately. Overall this shoe is good quality and a good purchase for a runner looking to expand their sneaker repertoire. On top of all that, the price is right. This is a fairly inexpensive shoe which makes it a very good bang for your buck.